With Christmas just around the corner many people will be putting together family quizzes and so we have put together our top 10 quiz questions on ancient Egypt for you to use this festive season or any other time. 1-What does the name Cairo mean? The capital of Egypt – Cairo’s official name is al-Qāhirah (in Arabic), which means the strong or the victorious. The origins of the city can be traced back to the Egyptian capital of Memphis, which is believed to have been founded in the early 4th millennium BC. Then following the arrival of Caliph al-Mu’izz li Din Allah of the Fatimid dynasty in 973 he gave the city its present name, al-Qahira (“The Victorious“). Cairo remained the capital to the end of the Fatimid dynasty 200 years later, and has remained the capital of Egypt through the Ottoman rule to the present day. 2-We all know the iconic picture of the three pyramids of Giza but what are they each called? The Pyramid of Khufu or the Great Pyramid was built by Pharaoh Khufu around 2550 B.C. It is the largest of the three Giza Pyramids, measuring 481 feet in height. The Pyramid of Khafre was built around 2520 B.C. by Pharaoh Khufu’s son, Pharaoh Khafre. This pyramid measures 448 feet in height, making it the second largest of the three Giza Pyramids. The Pyramid of Menkaure was built around 2490 B.C., during the reign of Pharaoh Menkaure. This structure rises to a height of 215 feet. 3-Ancient Egyptians had cures for many ailments. For toothache they would put a dead what on the bad tooth? 4-Which James Bond film has scenes filmed at the Giza pyramids and at Karnak Temple in Luxor? The 10th film in the James Bond series and saw the creation of the famous “007 Stage” at Pinewood Studios and the introduction of the character “Jaws”. Major sequences in the film were shot in Egypt and produced one of the most memorable Bond movies. 5-The tomb of Tutankhamun was discovered in November 1922 by Howard Carter. Who sponsored the dig? Exceedingly wealthy, Carnarvon (whose home Highclere Castle was the setting for Downton Abbey) at first best known as an owner of racehorses and a reckless driver of early cars, suffering in 1901 a serious motoring accident in Germany a result of which he travelled for warmer climates to aid his health. He went to Egypt first in 1903 and took up Egyptology as a hobby to help him pass away the winter days and the rest, as they say, is history. 6-Ancient Egyptians believed the god Anubis weighed what in the human body to see if the person would be allowed into the afterlife? The heart was to be weighed against the feather of Maat (goddess of truth) and if too light or too heavy then entry to the next life was denied and worse still the person taken away for destruction! 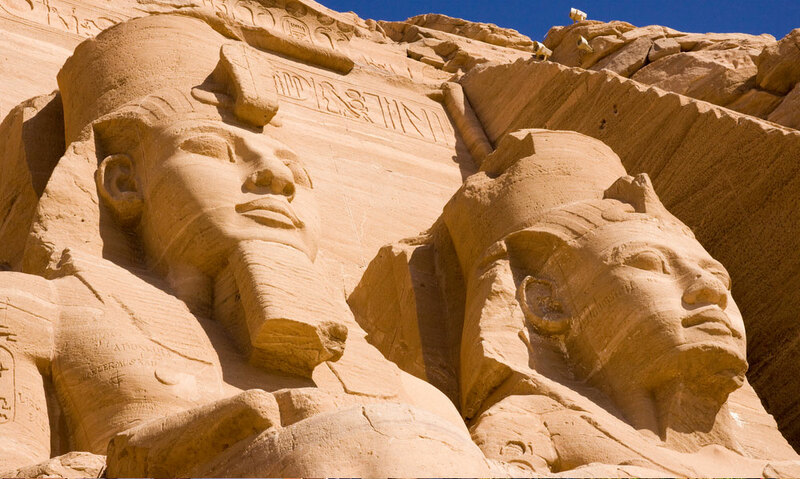 7-Who was the longest reigning Pharaoh? 8-The ancient Egyptians needed to try and predict when the Nile would flood each year and this led to the development of the first what? The world’s first calendar – the first people to have a year consisting of 365 days divided into 12 months. Evidence of this can be seen at the Kom Ombo temple North of Aswan. 9-The Nile is the world’s longest river – to the nearest kilometre how long is it? A fun question to let people guess. Give a mark or two whatever you feel to the person who guesses the closest! It flows South to North from the East Africa Highlands to the Mediterranean Sea. 10-What was the main drink for Ancient Egyptians? Both beer and wine were offered to the gods at temples and to the spirits of the dead at tombs. They were also drunk at festivals and celebrations and beer was as much a staple as bread. In the myth of “The Destruction of Mankind”, the ferocious lioness goddess Sekhmet is prevented from wiping out mankind altogether by being made drunk on beer dyed red to resemble human blood (don’t try this at home! ).